It can be hard to know just what the perfect lunch box looks like. There are so many products to choose from, and everyone seems to have a different idea of what makes a ‘healthy’ lunch box. 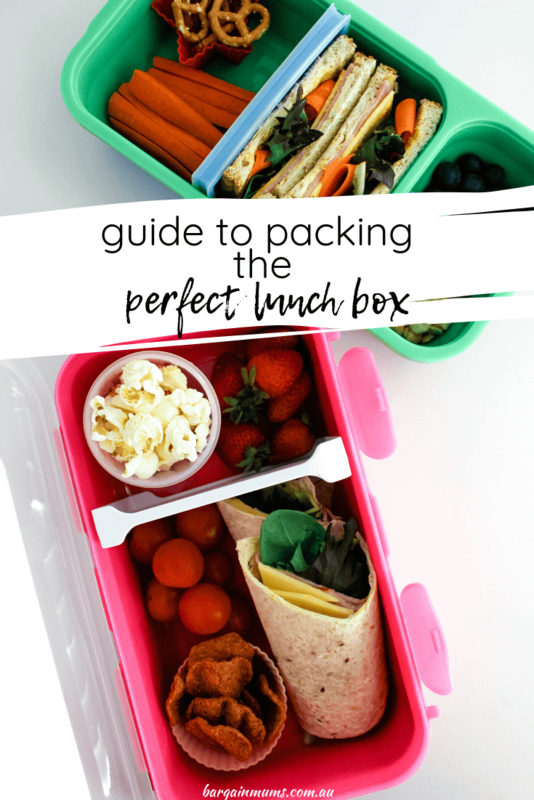 To help make the daily lunch box packing process easier, I have put together this guide on packing the perfect lunch box. It’s filled with suggestions on lunch box items, along with two lunch boxes I have packed for my own kids, to help give you a little 2019 lunch box inspiration. The perfect lunch box starts with a great lunch box container. There are plenty to choose from, especially when the shops are filled with back to school items. My favourite by far are the bento style lunch boxes. Bento style lunch boxes feature different compartments, making it easy to pack a healthy, whole food lunch box. 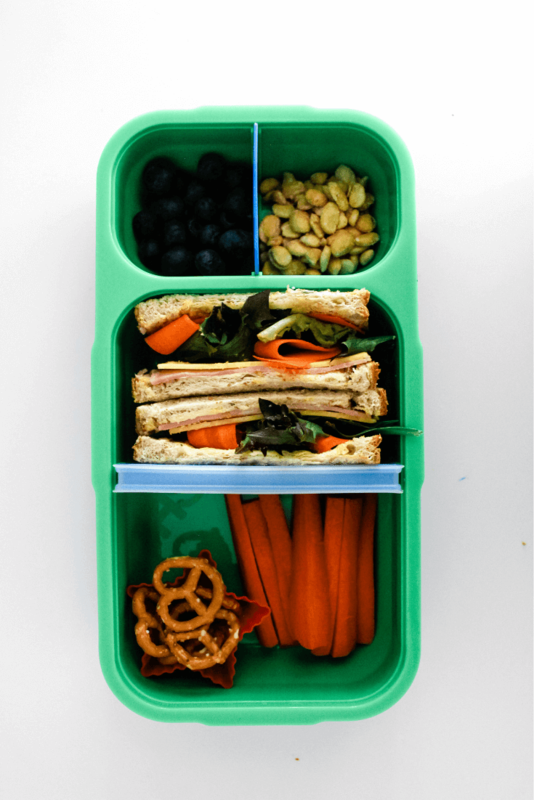 I find that bento style lunch boxes hold enough food for both recess and lunch. It makes life so much easier only having to pack the one lunch box to cover both lunch and snacks. Bento style lunch boxes are also a great way to get the kids involved in packing their own lunch. My kids just love creating their own lunches by filling each individual section of the lunch box with different items each day. The kids will feel as though they have the freedom to pick and choose what they like, and hopefully that will result in an empty lunch box when it comes home. I found our Smash bento lunch boxes for this year in Woolworths. The boxes we choose come with fun patterned ‘skins’, which help keep food in the lunch boxes cooler. My kids also loved picking out their favourite ‘skin’ design. Along with a great lunch box, you will also need a good quality water bottle. Whether it’s plastic or metal, drink bottles are one of those items that are used multiple times a day, each and every day. Plastic drink bottles are great lightweight options that are easy for kids to carry around with them. The only downside to plastic is that it doesn’t keep water cool on a hot day. Drink bottles with a pop up style lid are much better easier for kids to use than bottles with screw top lids. Double walled metal drink bottles on the other hand are perfect for keeping water cold all day. I know some teachers however don’t love these metal bottles, as they make quite a loud noise when they fall over or off school desks. When it comes to filling school drink bottles, nothing beats water. It’s exactly what kids need to keep themselves hydrated throughout the school day, and is also the most budget friendly option, costing next to nothing to fill a drink bottle with tap water. 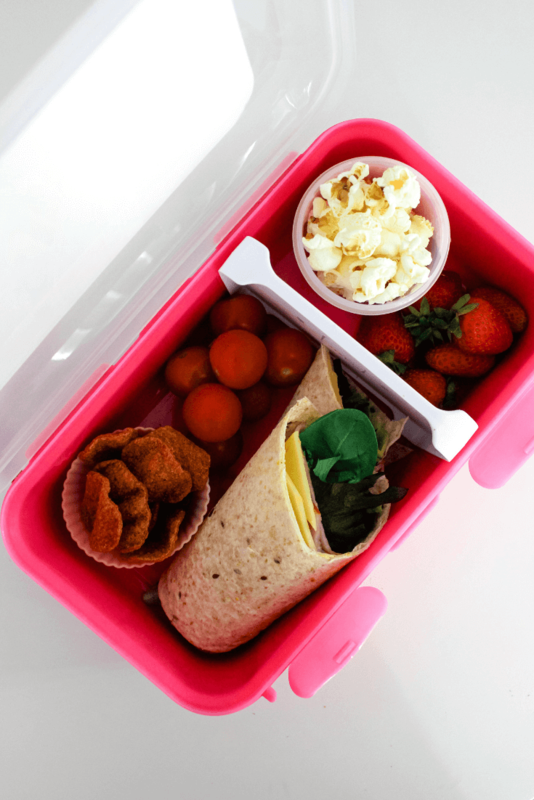 If you need a little inspiration to get you started, try the following suggestions, and mix them up a little each day to keep lunch boxes interesting. This lunch box was packed for my son who has just started his first year of school. I started with a ham, cheese, carrot and lettuce sandwich on multigrain bread. Then I added carrot sticks for the vegetable portion, blueberries for the fruit and Macro puffed fava beans for the snack portion. I also snuck in a few pretzels as a treat. Believe it or not my son can’t get enough of these fava beans, and this lunch box came home empty! This lunch box was packed with the help of my daughter. It starts with a multigrain wrap filled with ham, cheese, lettuce leaves and carrot as her lunch item. We also added cherry tomatoes as the vegetable, strawberries as the fruit, Macro beetroot lentil bites as the snack (these are delicious) and Woolworths Original Gluten Free Popcorn as an added treat.